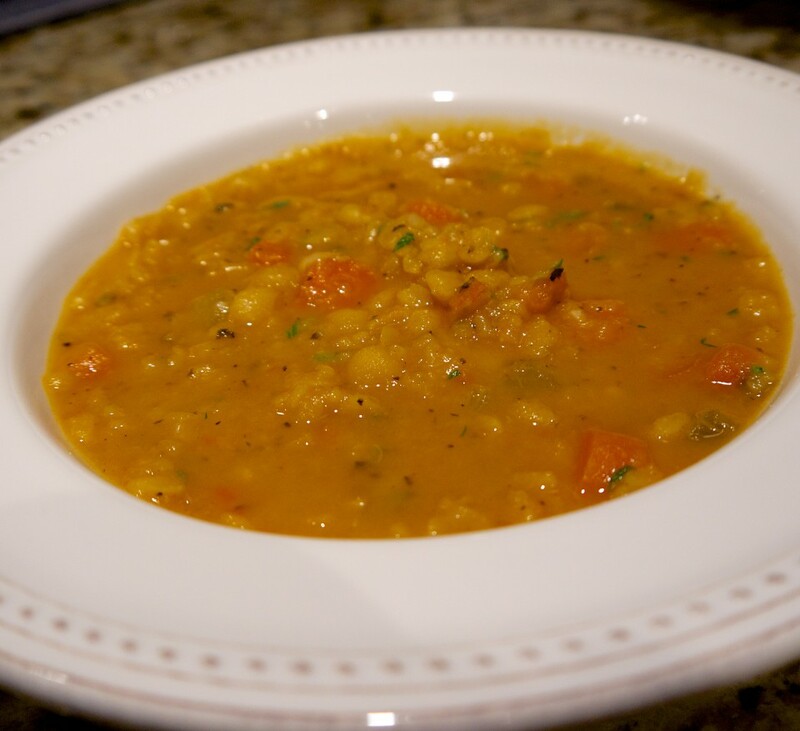 Split peas have been a part of our diet since antiquity, dating back to the Greeks and Romans in 500 to 400 BC. They are a legume, and have numerous health benefits. 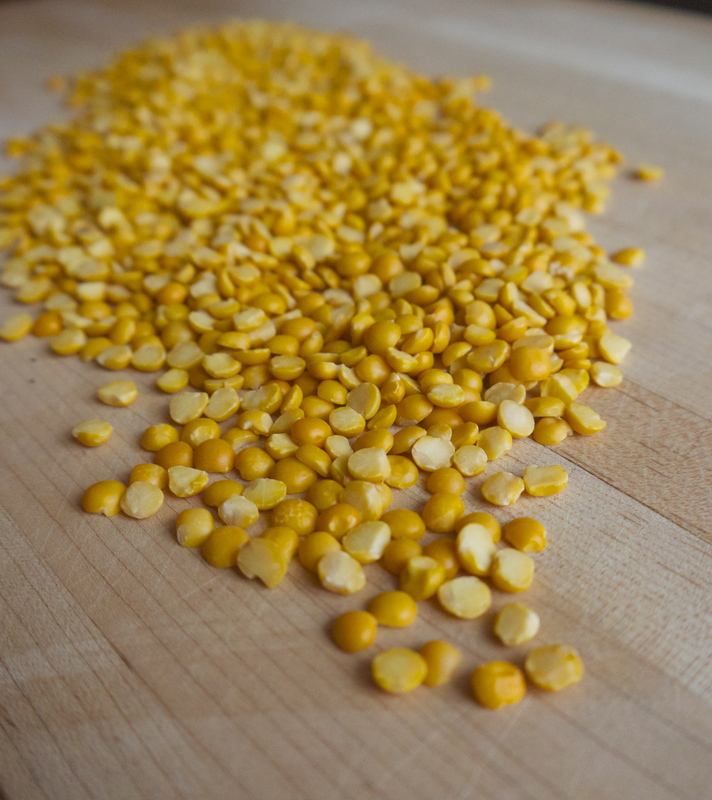 Split peas come in shades of yellow and green and are found easily in almost all supermarkets and specialty grocery stores. When purchasing dry split peas you want to have a good look at them. If they are not in open bins, make sure you are seeing them through clear plastic packaging. The colors should be bright and uniform. Dull looking split peas are a sure sign of old age. Just before cooking give them a little rinse under cool water to wash away any dust or sediment they may have attracted. Packed with soluble fiber; a single cup of cooked dried peas in your daily diet provides over 60% of the recommended daily fiber. They are also packed with protein, two B-vitamins, and minerals. Peas also include isoflavones, which are helpful in reducing the risk of breast and prostate cancer and can also help stabilize your blood sugar levels while providing a steady supply of energy. In one article I read if you are sensitive to sulfites, which are added to most deli foods and salad bars, the mineral molybdenum (which are found in peas) will help you detoxify them. Peas can provide you with almost twice the recommended daily allowance of this mineral from a single 1-cup serving. 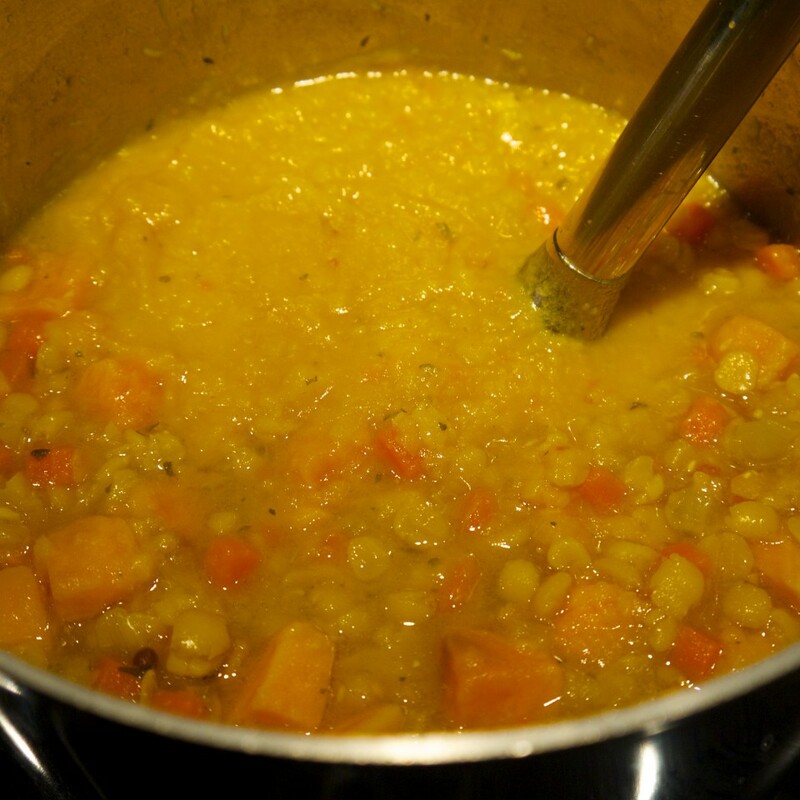 Pea soup or split pea soup is soup made typically from dried peas, such as these. It is, with variations, a part of the cuisine of many cultures. Dishes can range from is greyish-green or yellow in color depending on the regional variety of peas used. You can easily find all kinds of pea soups pre-made in cans, but why bother with all the extra sodium that can will bring? 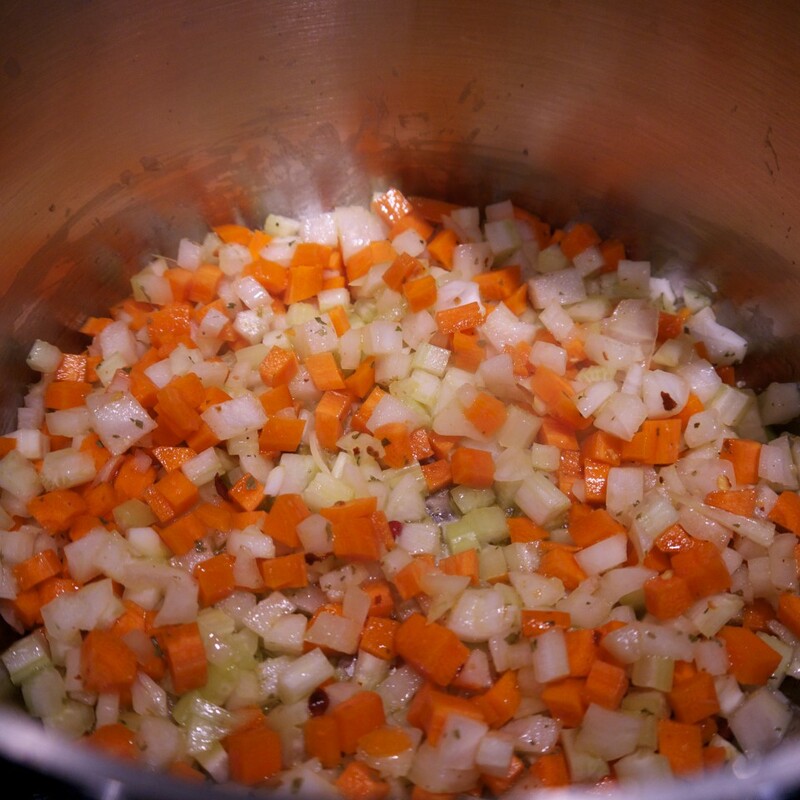 Making a pot of soup can be comforting and frankly easy. The week in my search for a new and delicious take on split peas, I ended up with two different flavor profiles. As you will see in the recipe links under the pictures below, I start with the same basic vegetables: celery, carrot and onion. The only difference really is the liquid and spice. 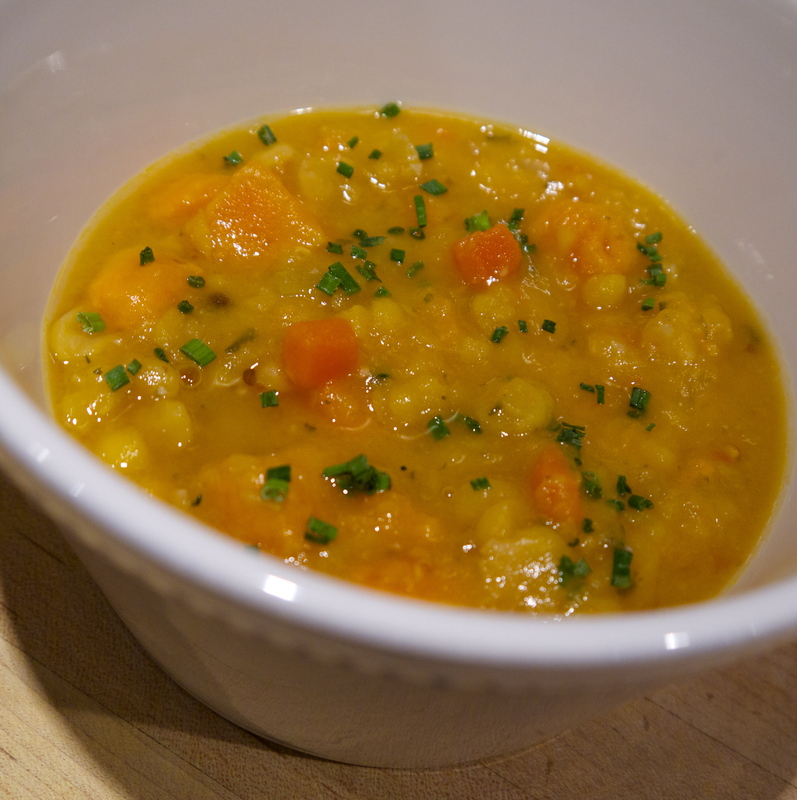 Slightly different from last week’s Red Lentil, Apple and Chestnut Soup, this legume take a little longer to cook. However, they finished product is just under 45 minutes. For the smokey version I used a great blend from Spice Revolution I picked up on Saturday at the Pleasantville Farmers Market. Here is a little trick to make it smooth, but retain a little chunkiness so you can see the vegetables and peas: With and immersion blender only puree about 1/3 or the pot and then swirl it all together. Both soups turned out perfectly. 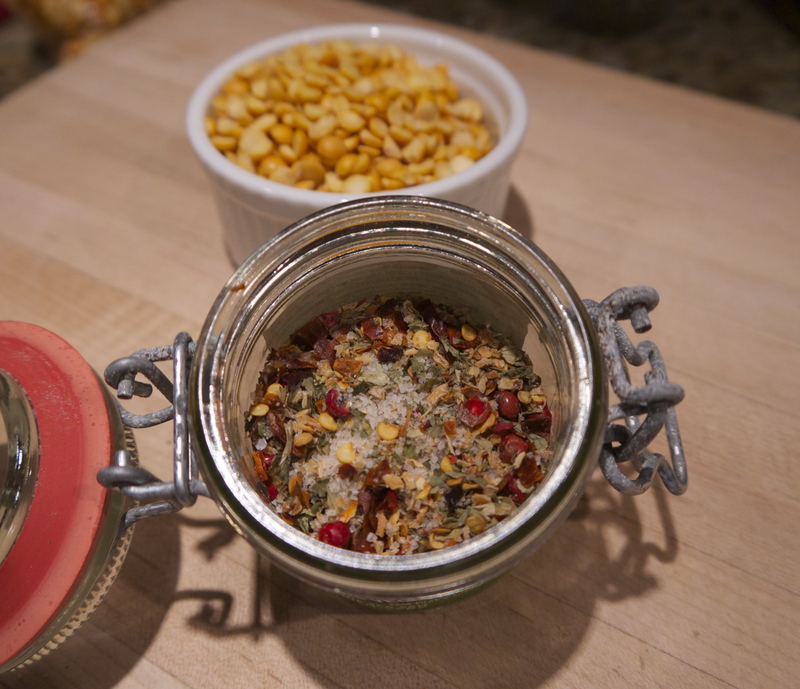 I would highly encourage you to experiment with your favorite spice blend and come up with something new as well. 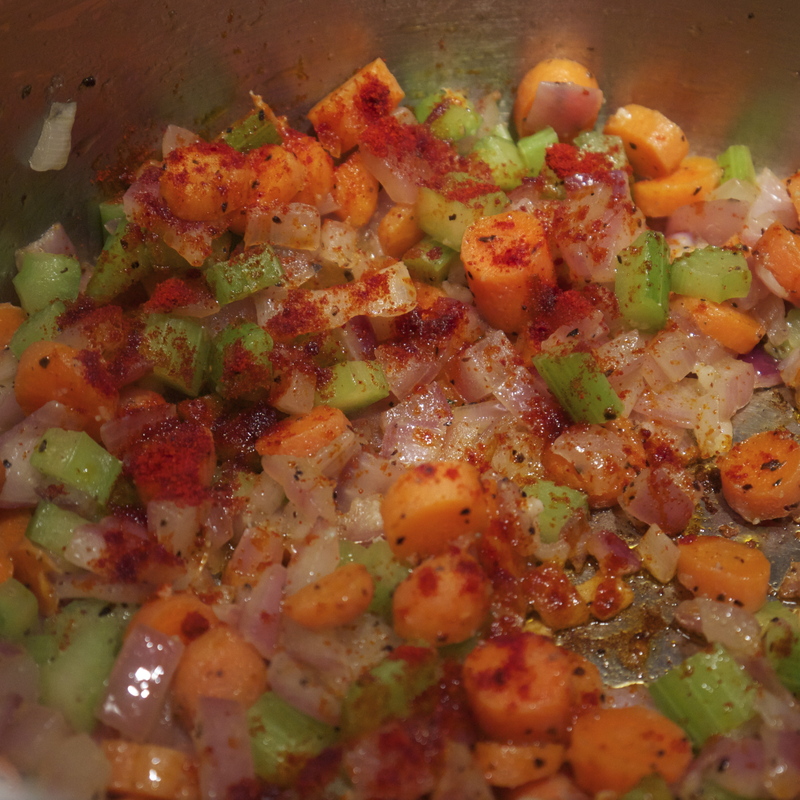 Just start with a good vegetable base, to add flavor, and go from there. Stay warm and buon appetito!